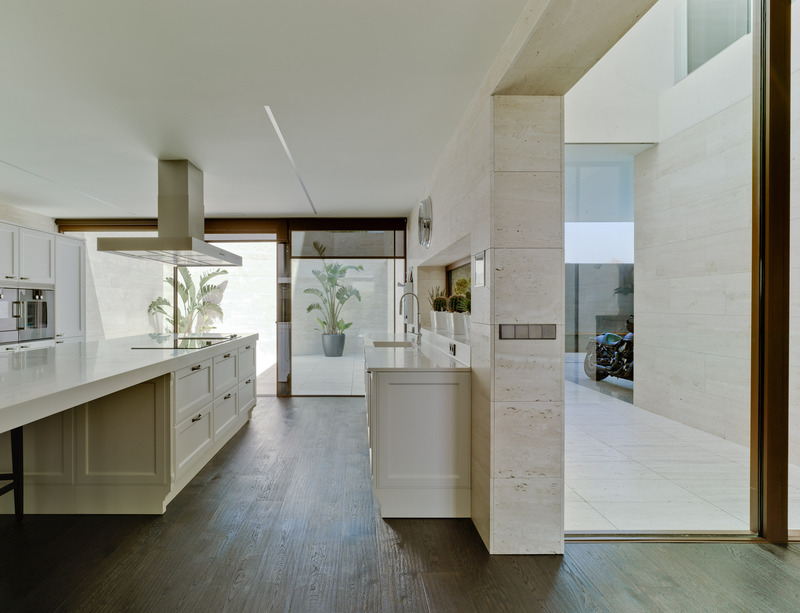 In the kitchen, the countertop occupies a special place next to the pavement and the furniture. It’s on the countertop where a lot of the kitchen work is carried out. The countertop is a key decorative and functional element when designing the kitchen of your dreams. Each person has tastes, needs and a budget, that’s why we bring you some different types of countertops. Granite and marble are two great classics in our kitchens. The reasons why they are chosen are because of their resistance, the durability of the material, the ease of cleaning and the conservation. 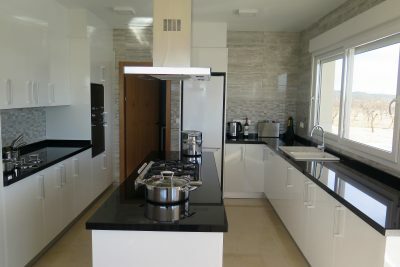 A bit more expensive than other materials, but gives the kitchen distinction and a touch of elegance. 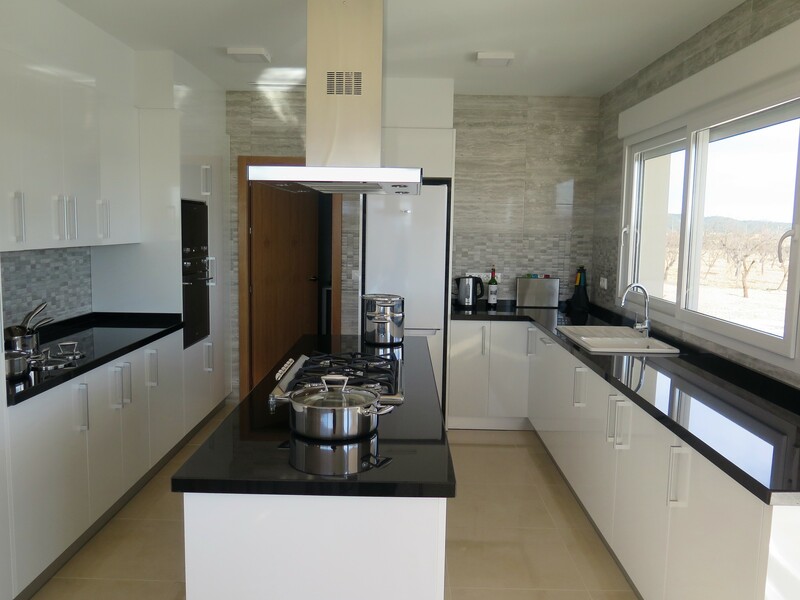 This material is made with a mixture of special resins and natural quartz particles, resulting in a material of great hardness, with some advantage over marble, for example, and are more economical. This material comes with a varied palette of colours and finishes. Wood has become a trend for countertops, but if you are looking for a similar result but much cheaper, laminate worktops are your ally. Over time they have become more solid, with greater durability, and you also have endless options ranging from the imitation of natural stones to the classic imitation of wood. 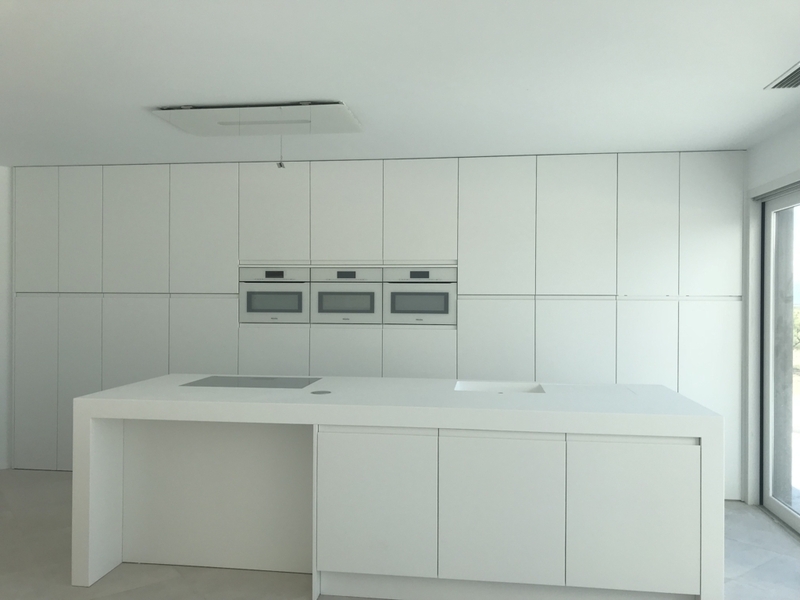 A good placement and insulation is the key to your laminated countertop lasting years in perfect condition. The wood is a noble material with multiple decorative utilities, but if it is going to stand out it will be for its naturalness, for its warmth and the variety of finishes. 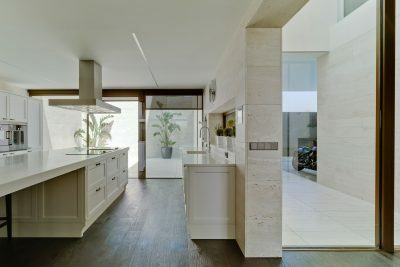 For the kitchen, which is an area exposed to humidity, heat and impacts, it is best to choose high quality solid wood countertops, made with beech, oak or walnut woods. This is an unusual material and has a lot of strength when decorating a kitchen. Excellent maintenance, durability and cleanliness, hence it’s use in many establishments dedicated to gastronomy. If you are one of the people who prefer an industrial touch to your kitchen design, this is the countertop for you. 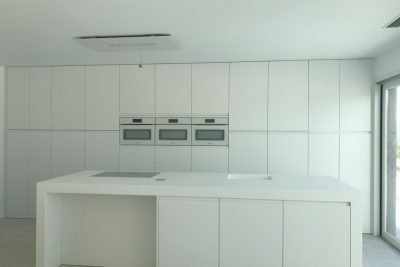 The latest in countertops is undoubtedly this new material, where technology and quality come together to leave us these porcelain countertops. But what exactly is this new material and what can it provide us? In this new material, the advantages of glass and stone are combined, obtaining a uniform, strong and durable product, obtained through a process of dissolution and crystallization of ceramics and silicon particles. It does not burn, very functional, with a very simple maintenance and with high resistance.